Among passengers of Lion Air flight JT610, which crashed into the Java Sea on Monday, were regulars of the flight. It was a flight frequently taken by those who “commute” between Jakarta and Pangkalpinang, the capital of Bangka Belitung Islands. The flight, the earliest on Monday, was convenient as it allowed the many civil servants assigned to Pangkalpinang to spend the weekend with their families in Jakarta, before returning to work the following Monday. Employees of the tax office, who were among passengers of the crashed plane, took the flight so often that it was said in jest that they were “purchasing airplanes in installments”, shared a tax office official. Other passengers caught the flight to go back to their hometown after visiting their parents or going on a quick weekend getaway in Jakarta, while others were aboard the plane for a quick business trip. Family and friends of some of the victims of the air crash have spoken with The Jakarta Post. Below are their faces and stories. Paul Ayorbaba, 43, was an employee at a Jakarta-based shipping company, a position that often forced him to leave his wife, Inchy Ayorbaba, and three kids behind in Jakarta. 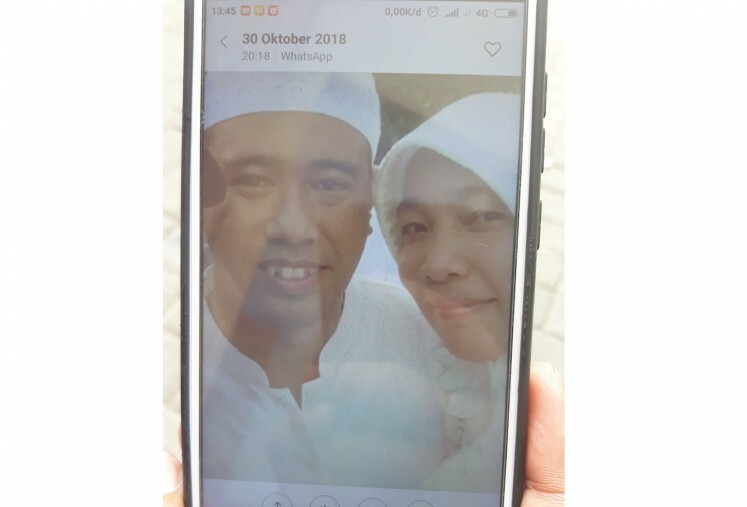 His daughter, 13-year-old Finanda Naysyifa “Nanda” Ayorbaba, said it was the first time her father had flown to Pangkalpinang for a business trip. 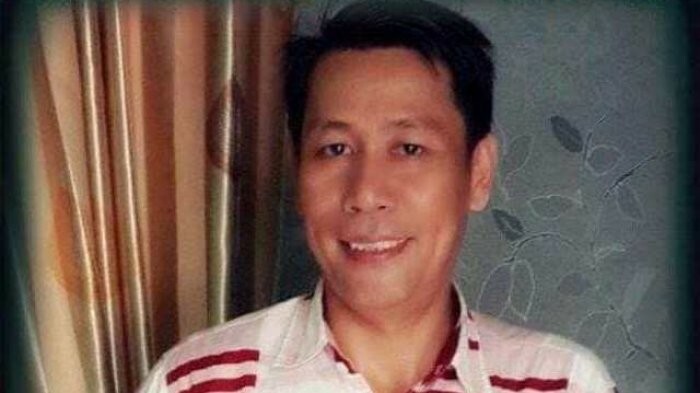 Paul’s mother, Tiece Makalew, 69, said on that fateful morning, her son was leaving to take care of business and deliver documents to his company’s Pangkalpinang branch. She remembered her son as a loving, tender man who never hesitated to stand up to anyone who threatened his closest relatives. The Real Madrid enthusiast was also a big fan of soccer and exercised regularly. Paul is a good swimmer, Nanda said. That was why she was hopeful that Paul would survive when she heard that the plane crashed into the sea. Twenty-four-year-old M. Luthfi “Upi” Nurramdhani was planning to go straight to work at the Pangkalpinang branch of state-owned postal service firm Pos Indonesia as soon as he arrived after visiting Jakarta for personal business over the weekend. Besides going back to work, going back to the capital city of Bangka Belitung Islands province also meant that he would be reunited with his pregnant wife, 25-year-old Karlina Setiaputri, who works for the National Narcotics Agency (BNN). “Lina asked her employer to be moved to Pangkalpinang so she could be closer to her husband,” Nabila Kariza, 25, a friend of Upi’s, said on Wednesday. For Nabila, who met Upi when they were students at the School of Communication Science, Padjadjaran University, in Bandung, West Java, Upi was the kindest person she had ever met as he never hesitated to lend a hand to his friends whenever they were in need. Upi's parents have started to accept that Upi might not have survived the crash, she said. "They believe Upi is a martyr and will go straight to heaven," she said. Fifty-five-year-old Anshori turned on his car minutes after he received a call at 6:15 a.m. from his daughter, Wita Seriani, to warm up his engine before leaving for Depati Amir Airport, about 30 kilometres away from Sungailiat, where he and his family, as well as Wita, lived. “She asked me to pick her and her family up at the airport after travelling from Jakarta,” he told the Post on Tuesday. However, when he arrived at the airport at 8:30 a.m., there were no notifications that Lion Air JT610 had landed. An hour later, an airline officer approached him and said air traffic control had lost contact with the flight and it was feared to have crashed into the sea. Wita was supposed to return to Sungailiat last weekend after attending an event with her 1-year-old daughter, Kyara Aurine Daniendra Giwitri, and husband, Gilang Perkasa Sanusi Putra, in Bengkulu. 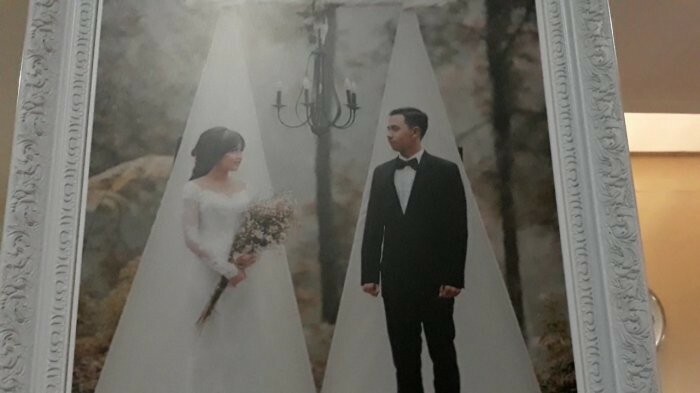 Last weekend, Anshori recalled, Gilang’s employer, state-owned electricity firm PLN, was holding a company anniversary event in Bengkulu, so her husband asked his dentist wife and their daughter to join him in Bengkulu, where he lived, to attend the event. After the event, however, Wita informed her father that the family of three was unable to get plane tickets back to Pangkalpinang. That was when she and Gilang decided to go to Jakarta instead and stayed at a hotel over the weekend before catching the first flight to the city so she could attend a Youth Pledge Day flag-hoisting ceremony at her workplace at the Sungailiat Community Health Clinic. Tribun Style reported that during her visit to Jakarta, Wita and her family went shopping and had dinner with her cousin, Rara Margie, at Central Park shopping mall in West Jakarta the night before she left the next morning. “We ate sushi until we were full and shopped for so many things for Kyara,” she wrote on her Instagram story on Monday as quoted by Tribun Style. 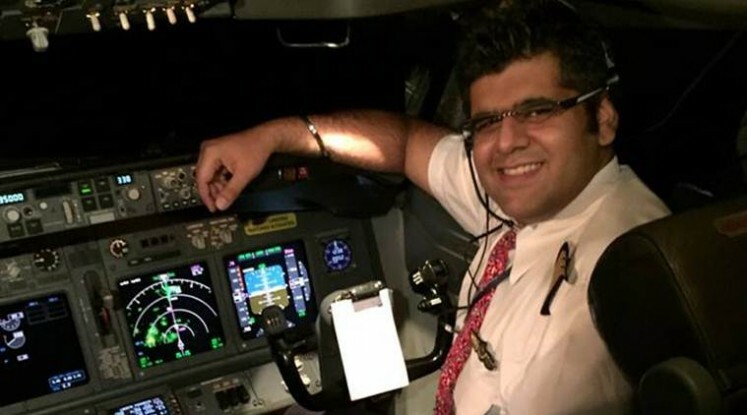 Bhavye Suneja, a New Delhi, India native, left his hometown for his career as a pilot and worked for the low-cost carrier Lion Air in Jakarta. During his stint at the airline, Suneja clocked in more than 6,000 flight hours and was known to be familiar with the Boeing 737 plane. According to his Linkedin profile, the 31-year-old obtained his pilot license in 2009 from the Bel Air International Flight School in California, United States. A year later, he joined Emirates Airlines as a trainee pilot for four months before joining Lion Air in 2011. In a statement obtained by the Post recently, Suneja was thinking about returning to India by applying for a job at a leading Indian airline. However, the vice president told him that he should fly with the airline for a year and the company would consider his posting in Delhi. Suneja’s wife, Garima Sethi, whom he married in 2016, resides in Jakarta. Tribunnews reported that Sethi left her job as finance manager at Indian media company The Indian Express, to be with her husband. On Wednesday afternoon, Suneja’s father visited Kramat Jati Police Hospital in in East Jakarta to provide a DNA sample that would be used to identify his son’s remains. Ardiansyah, 30, never expected his sister, Rebiyanti, and his brother-in-law, Indra Bayu Aji, to be inside the downed Lion Air flight JT610, which was en route from Jakarta to their hometown of Pangkalpinang. “I knew they were in Jakarta, but I didn’t think both of them would be boarding the flight,” he said. Rebiyanti, who worked at a smelter in Pangkalpinang, was in a long-distance marriage with her husband, who worked at a mine in East Kalimantan. 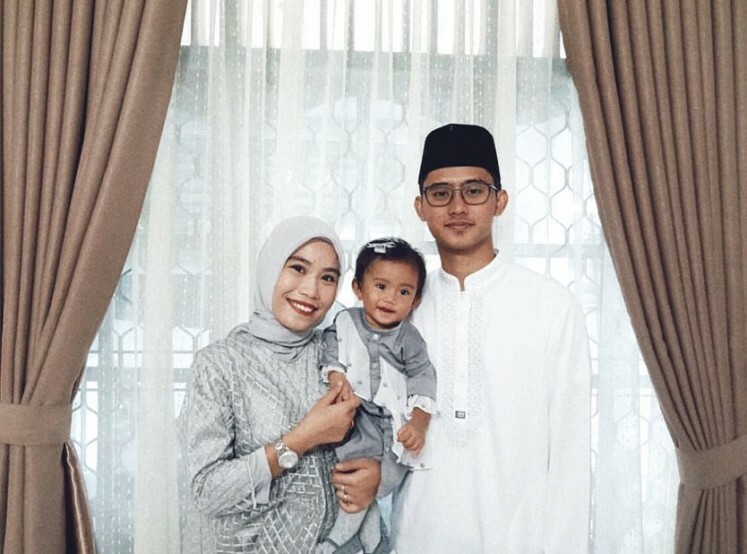 While she was in Palembang for business, Indra told her that he would be going to Bandung, so the pair decided to meet at the center point in Jakarta and spend the weekend together in the city, leaving their 1-year-old son behind with Rebiyanti’s parents. Ardi said he and his family knew Rebiyanti and Indra were in Jakarta. However, they had not told anyone that they planned to return to Pangkalpinang together. That was why their entire family was shocked to learn that Rebiyanti and Indra were in the crashed plane. Although Rebiyanti and Ardi, who worked at a mining company in West Kalimantan, were not in constant communication with each other, they would catch up via video call.